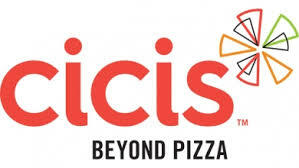 CiCi's Pizza is seeking team members in San Marcos, TX! We are searching for the best and the brightest to join our team! We LOVE our employees and we LOVE to promote from within. You may start as a crew member today and be a General Manager of your own store one year from now! Job Responsibilities: You will work an average of 25-35 hours per week as a Team Member. You will maintain your work environment and maintain the highest sanitation and hygiene expectations. We review every application and cant wait to receive yours! If you prefer to apply via text messaging, please send code 11408 to phone number (512) 233-6325. 1. Can you lift up to 30 lbs without assistance? 3. Are you legally authorized to work in the United States? 4. What has been your greatest achievement or source of pride to this point in your life? 5. What do you think would be a good reason to be absent from work? 6. If you are not sure what a coworker meant, what would you do?